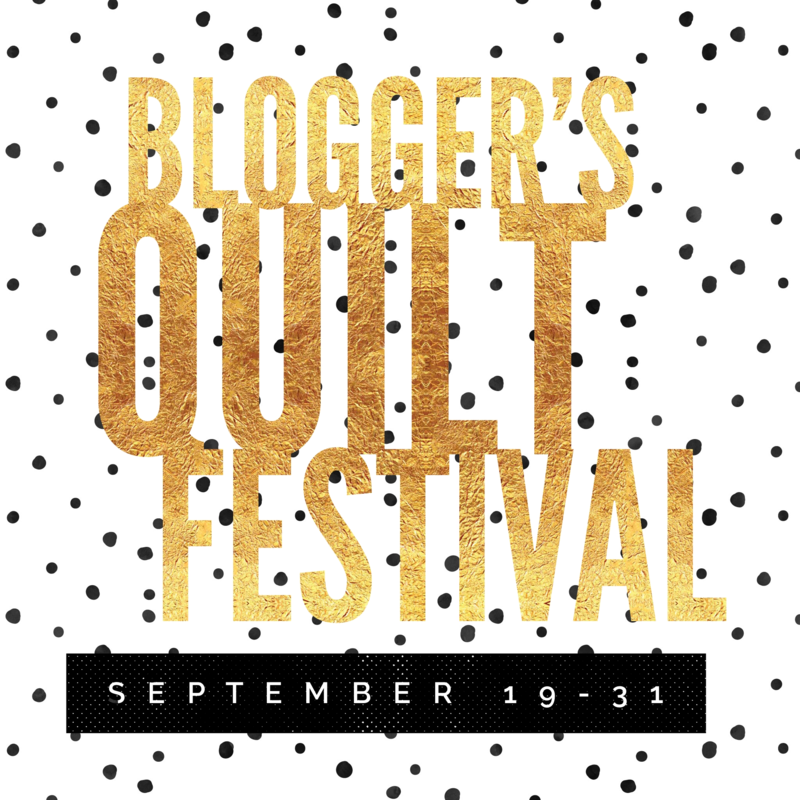 It's time for Blogger's Quilt Festival hosted by Amy @ Amy's Creative Side. 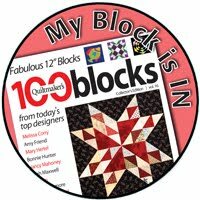 I enjoy this virtual quilt show and am excited to enter my Words Are quilt into the Original Design category. 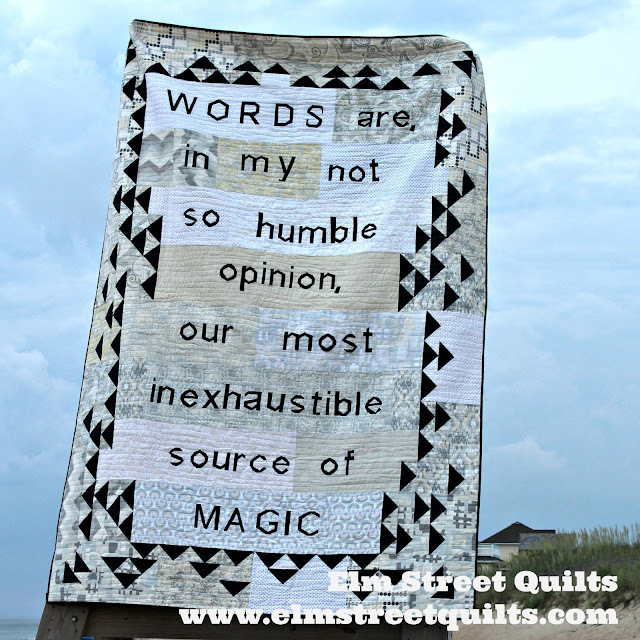 My regular blog readers will recognize this quilt but hopefully won't mind seeing it again! The quilt was made for my daughter who adores the Harry Potter series. (You may recognize this as a quote from Dumbledore.) She is studying to be a writer so it is just perfect. The quilt finished at 70 x 100'' and is backed with a soft gray flannel print. I quilted it with organic wavy lines on my domestic machine. The letters are all paper pieced. Once the words were all assembled I figured out the layout and really enjoyed designing and creating the geese border. The idea of using geese (besides being my favorite block) is represent all the possibilities open to her as she moves forward to college. She loves her quilt! It now lives with her in her dorm. I sent my son up into the lifeguard chair in order to get the photos of the finished quilt. He did great as a quilt holder but didn't truly appreciate the number of shots I felt I needed to take. Large quilt backed by flannel is heavy! 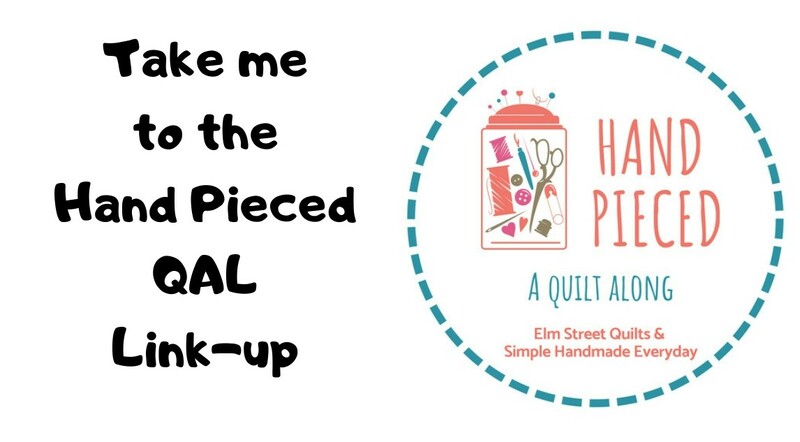 Before you dash off, please go take a look at my Elm Street Quilts Bag It event. 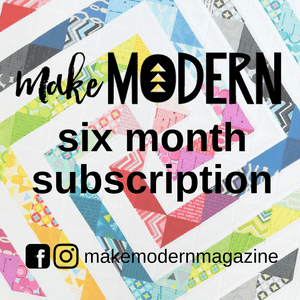 I'm starting 3 months of weekly tutorials on various bags to encourage handmade for the holidays. Making a bag - any bag, doesn't have to be from my tutorials - earns you entries to win some absolutely fabulous prizes from sponsors. Don't miss this event - help me spread the word - tell your friends! I teach children's lit and writing, so I really appreciate this quilt--great work. What an awesome quilt. Good luck. Neat! I like the addition of flying geeses in it. Enjoy the festival! Very cool quilt - all of it. I had seen some of it in progress; it looks terrific completed! I love when we can make our children uncomfortable!!! This quilt is really amazing. I love word quilts and low volume...you hit every note! Well, you know I ADORE this quilt! Glad to see it in the festival! Happy Happy Birthday Patty!